Need some lawn mowing for your garden, but don’t want to do the work? Want a professional touch when it comes to cutting your hedges? Do you need a complete clean that brings your garden to life? If you want any of these, why don’t you reach out to Gardening Angel – the leading gardeners in the Williams Landing area? With a wide selection of services, a passion for delivering the best for Williams Landing residents, and a friendly open approach, we are the team you can trust. Speak to us today on 0467 001 100, or fill out our online form and we will be in touch in 24 hours! When it comes to getting the garden that is going to make your neighbours’ eyes pop out, you’re going to need that professional touch with your plants, trees, and hedges. This is where our gardening hedge trimming service comes into the fold. With a wide selection of tools available, we can cut, trim and organise your landscape to create the perfect atmosphere; calming and cool with a vibrant array of colour. Don’t miss on the opportunity to turn your garden into the belle of the ball, by contacting and speaking to our gardening experts today. Mowing your lawn should be one of the easiest things you can do when it comes to maintaining your garden. But why then do so many people look towards professionals to do the job for them? The answer is simple enough: lawn mowing requires a deft touch, a laser-like focus and a dedication to ensure that the lawn looks perfect afterward. So if you do want the ideal yard in your neighbourhood, then why not reach out to Gardening Angel today? 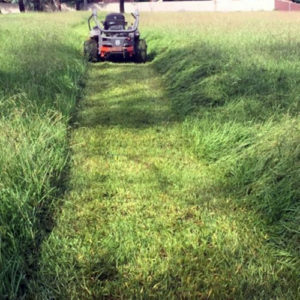 We have the lawn mowing service that can make the difference for you. So instead of suffering in silence, reach out and speak to our experts. Got some dirt stuck on your outdoor stairs? Has mud splattered on your home? Trying to remove it, but nothing seems to be working? Gardening Angel can help you with all your dirt, mud and cleaning goals with our sophisticated high-pressure cleaning service. With the latest in cleaning products and the most advanced equipment in our profession, we can reach any crack, hole, and height, and clean it to perfection. Within a few hours, we can have your home looking like a five-star palace. So if you are over cleaning the outdoors of your home, then get the best gardening professionals in Williams Landing by contacting us today. At Gardening Angels we strive to provide a quick and efficient service all over Melbourne, we also do landscaping services in Laverton, get in touch today!